Scars and other disfigurements caused by a motor vehicle accident, defective product, burn injury or medical procedure can be painful both physically and psychologically. In addition to limiting a person’s range of motion, they also serve as a visual reminder of their accidents. Many individuals become depressed after living with scars. When the negligence of others is to blame, the board-certified civil trial lawyers at Heintz & Becker can help scarring and disfigurement victims in Florida get the compensation they deserve. For more than 30 years, our Sarasota and Bradenton-area injury lawyers have dedicated themselves to making sure their clients receive the maximum possible compensation for their injuries. Through exhaustive investigation, meticulous preparation and aggressive advocacy, we help individuals with disfiguring scars get the help they need. To schedule a consultation with one of our lawyers, contact us by e-mail or phone at 941-748-2916. Burn injuries and scarring go hand-in-hand. Fire, steam, hot liquids or an explosion can cause severe disfigurement, including loss of a limb. These types of injuries may be the result of a defective product causing chemical burns, a property owner’s negligence or any other act of negligence. They may also be the result of a motor vehicle accident. Whatever the cause of your injury, our dedicated attorneys will fight to hold the responsible parties accountable. Keloid scars — caused by the excessive growth of scar tissue over the injured area — are often painful and frequently require scar revision surgery for removal. Hypertrophic scars — developed when excess collagen fibers pull tissue across the injured area — may be tender or extremely sensitive and prone to uncomfortable itching. Contracture scars — formed following a burn injury — can be the most disfiguring and may limit a victim’s range of motion and require plastic surgery. Scar revision surgery is designed to reduce the appearance of scars, as well as correct skin changes and disfigurement caused by serious injuries. At Heintz & Becker, we are amazed at the results we have seen skilled surgeons provide for our personal injury clients. The change in demeanor that comes about after scar revision surgery is often dramatic. People regain hope for the future. Our lawyers take pride in helping our clients get the compensation necessary to cover the costs of this expensive surgical treatment. One of the key features of our service, particularly in cases involving scarring and disfigurement, is the ability to guide people toward good medical treatment. 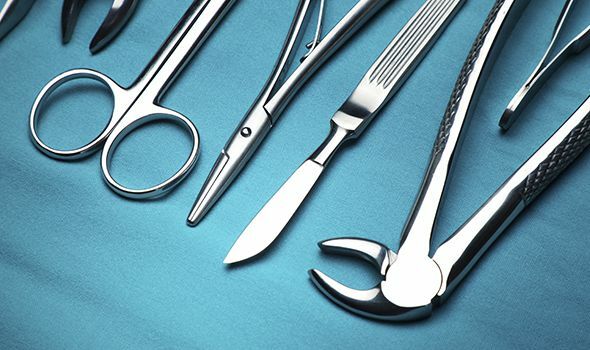 We are not satisfied in just getting you scar revision compensation or other forms of compensation; we want to make certain you get the most for your money by getting you to medical professionals who have built their reputations on treating serious injuries like yours. At Heintz & Becker, our focus is on how we can help you. We offer a free consultation to discuss your case. You will not have to pay any fees or costs unless we are able to get results for you. To discuss your case with one of our injury attorneys in Sarasota or Bradenton, call us at 941-748-2916 or send us an e-mail. If you are unable to come to us, we can come to you.